Everyday Lightweight T-Shirt Style Grocery Shopping Tote Bag. This Everyday Grocery and Shopping Tote Bag is made from economical and lightweight 40GSM non-woven recyclable polypropylene material. 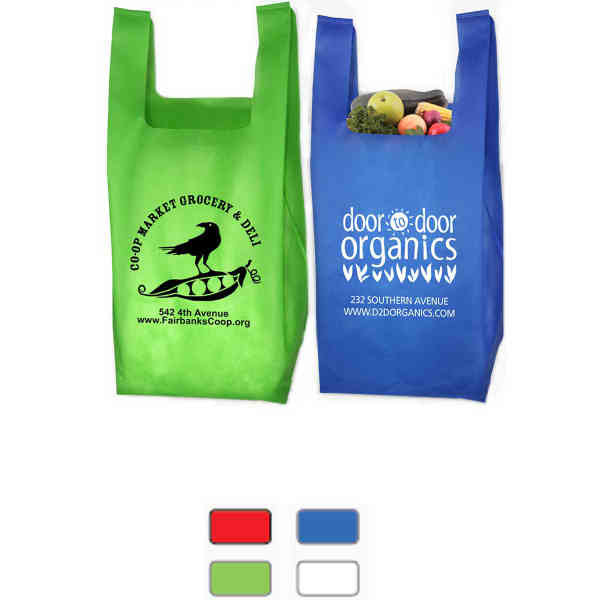 This reusable shopping bag is great for holding produce and other lightweight groceries. Overseas. Size: 12 " x 22 1/2 "